Brief Synopsis – A wounded soldier in Iraq tells his doctor the story of how when he was 13, his grandfather told him about his war experiences during WWII. My Take on it – I came across this movie by accident two years ago and loved it both times I’ve seen it. 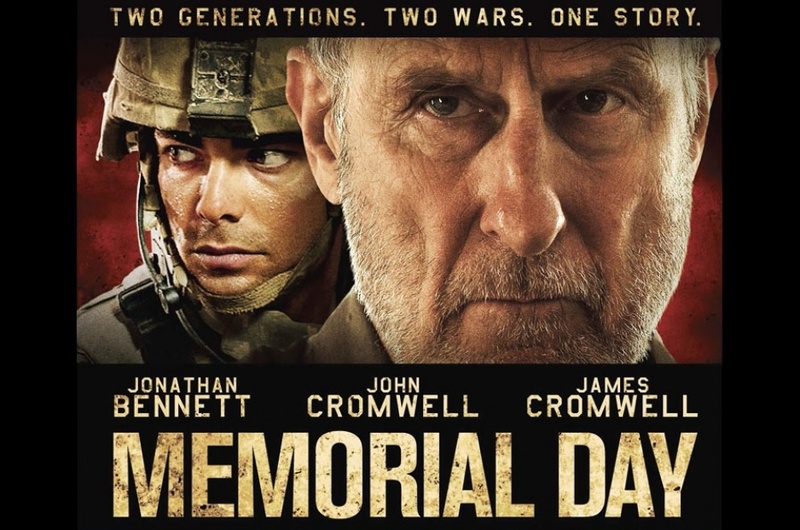 This movie has multi-layered stories that have the same message about war; basically that it doesn’t matter much what war you fight, you will have memories that you won’t want to relive for your children or grandchildren. The psychological effect of war on human beings is indiscriminate and it can affect all who are unfortunate to find themselves in these difficult situations. Being a low budget movie, there aren’t any top tier actors except James Cromwell who plays the grandfather. His younger self during the scenes that take place in WWII, his character is portrayed by his real life son John Cromwell. Both father and son are standouts here and do great jobs. This is the kind of movie that should be made more often because it is so emotionally gripping and gives you a view inside of a character’s heart and life and how it has effected him after so many years. Bottom Line – Excellent depiction as to how war affects soldiers in every generation. Great performances especially by both Cromwell’s. Highly Recommended! Never heard of this one. Sounds very good. Thanks for the head’s up and good review, man! yeah, this is amazing. I strongly recommend it. Let me know what you think if you see it.